Secret Stories® Phonics Blog with Katie Garner: Chit-Chatting About the Phonics "Secrets!" Chit-Chatting About the Phonics "Secrets!" 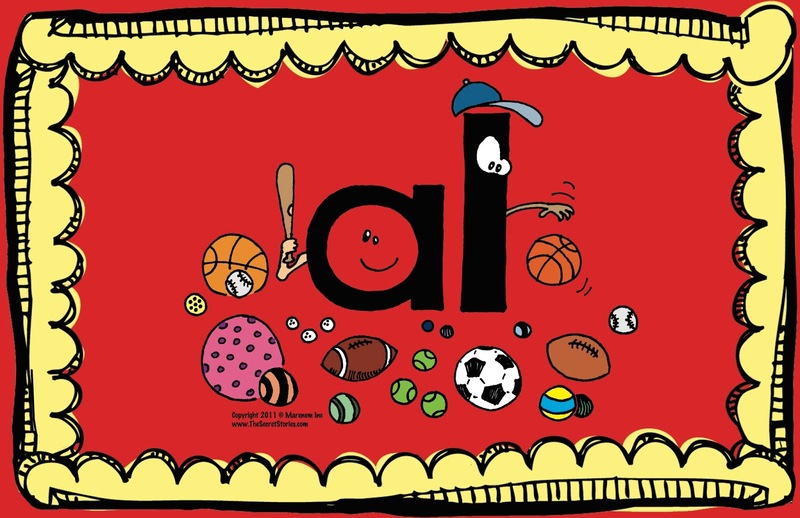 A and L love balls! ALL balls, ALL the time!! Armed with this new reading and writing tool, you naturally begin looking for opportunities to use it, not in a workbook or on a skill sheet, but in real life, just like real grown-ups do! Take a moment and look around wherever you happen to be. 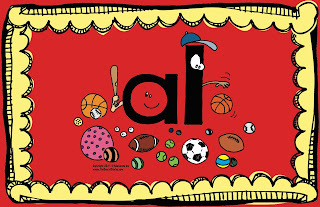 Do you see the al Secret anywhere? Maybe on a newspaper headline, or on a magazine cover? Now imagine the text-rich environment of your classroom where opportunities for spotting this and other Secrets are literally EVERYWHERE! I'm often asked to create SECRET STORIES® practice pages and skill packs targeting individual Secrets, but aside from the few I've done for the "core" Secrets (i.e. Secrets of the Superhero Vowels®, Spotting Secrets, and Beethoven Blends) I've never felt this was necessary. The best way to hone new skills is to use them, and the best use of the Secrets is for real-life, learner-driven purposes.... which abound in daily reading and writing! Applying the Secrets on workbook pages can't compare to applying them to the reading and writing activities that are ongoing across the curriculum and throughout the entire instructional day! And besides, there are so many outstanding and creative resources already available that offer natural reinforcement the Secrets! And since I'll be doing a few guest posts for Deanna Jump this month on her blog, I thought I'm going to use one of her "Chit Chat" units as an example. 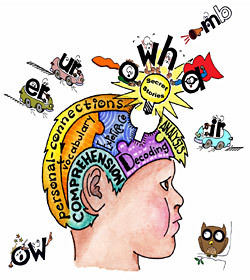 One of the best ways to build learner-automaticity with the Secrets is to provide rich, daily literacy experiences and activities that spur learner-interest so as to inspire use of the Secrets. Activities like Mrs. Jump's Chit Chat (or any other flexible "open-ended" learning activity/framework) provide an ideal springboard for use of the Secrets for multi-purpose learning! A consistent, yet flexible format makes for easy differentiation! 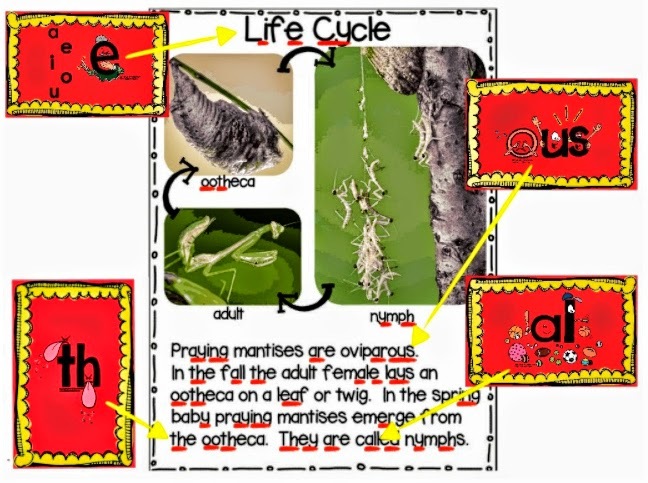 The consistent, and yet flexible format of the activities makes it easier for beginning learners to "multi-process." 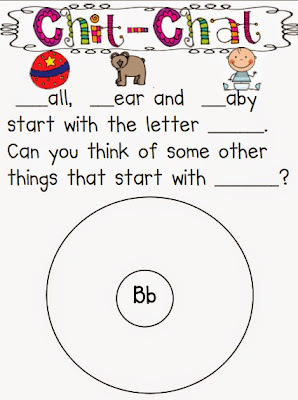 The open-ended format encourages learners to simultaneously apply the Secrets they know, in conjunction with the individual letter/sound skills targeted (i.e. writing additional words that "start with the letter B" and contain one or more Secrets). Combing both skill sets for one purpose allows learners to more fully engage with the activities while reinforcing their natural integration (i.e. use of the individual letter sounds and Secrets, simultaneously, rather than having to wait to acquire/apply one before the other.) The result is natural, and thus, easy differentiation for a variety of skill-levels and instruction. 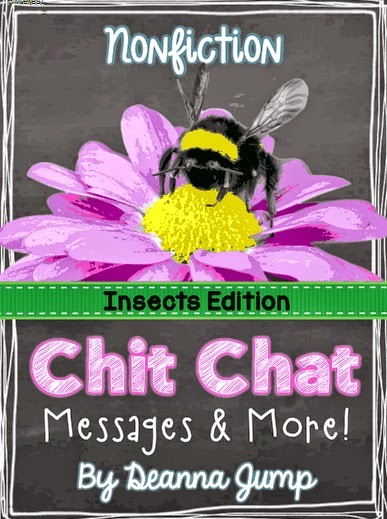 Mrs. Jump's "Chit-Chat Morning Messages" on TpT! Rich, informational content, combined with vivid photographs and realistic illustrations inspire learners to read and write! Connecting high-interest, non-fiction concepts to what learners already know and understand inspires them to "dig deeper" by reading and writing even more— sparking an interest in further reading, or planting a seed for an exciting, new writing idea, appropriately leveled, non-fiction text activities provide learners with unlimited opportunities to put the Secrets they know to use! Secret Stories® are literally hiding behind every corner! More than anything else, what I love most about using the Secrets to read and write across the instructional day is that it clearly demonstrates the power that comes with owning these tools of our language! The Secrets give those who know them power over text! For beginning learners, the ability to figure out new words on their own, as well as to write the words they want to use in their stories (regardless of whether or not it is on a sight word wall to copy) is an empowering feeling. And it's this "power over text" that ignites learners' desire to read and write MORE! Secret Stories® can be found around every corner and on every page of any book OR TpT activity! Anywhere there is text, there are an abundance of opportunities for introducing new Secrets and revisiting/reinforcing old ones! 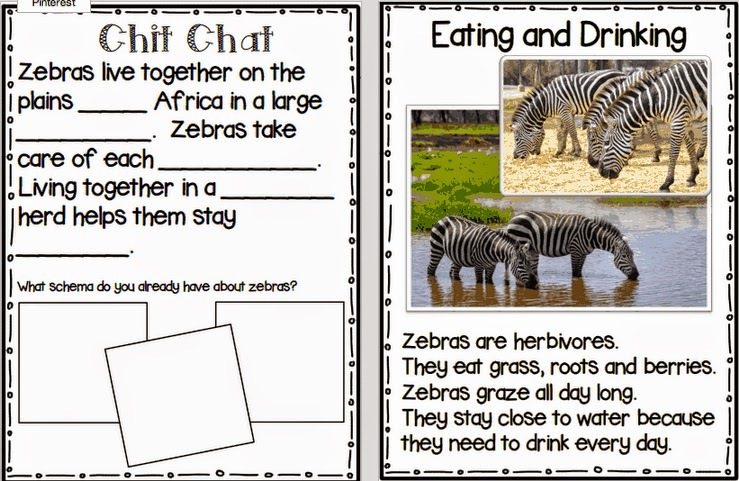 Can you spot the Secrets on this page of Mrs. Jump's Non-Fiction Chit Chat unit below? or to view the complete Classroom Kit versions, see the picture link, below. I'm excited to start incorporating the secrets into my day. After several years of beginning my day with math journals I find that this year I will start my day with literacy due to a district schedule so what better way to get our brains going in the morning by using Chit Chats or morning messages. Thanks for the inspiration. I love Secret Stories and Chit Chats and use both in my classroom. What a great idea to put them together. Super Duper! I would love to have this for my kindergarten students!!!!! I worked for a title 1 school and know that your products will help my students to become successful readers! Thank you!!!!!! 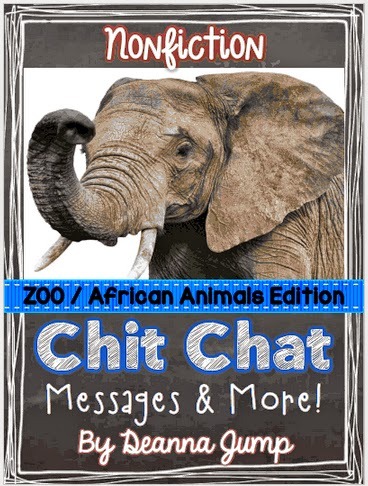 Love this post on the secrets and the Chit Chat messages! I'll be using the Secret Stories this year with my ESL Specialist position. This would be a great addition! Love your easy learning techniques! I am a longtime Secret Stories fan! I would love to win this double treat! Every year my kinders make great reading and writing progress and I know that Secret Stories is a great part of that progress. Thanks to you and Deanna for this great giveaway! Love these. In it to win it! Would love to win your Secret Stories! And the Chit-Chats, too! Thanks for the chance! I'm considering getting the Secret Stories and was wondering why the posters are printed on a red background. Does it tie in with brain research somehow? Also, are there blacklines of the posters I could get? Thanks! Hi there! and oh if I only had a nickel for every time I was asked this question.... Lol! Hope this helps, and thanks for the great question!! I am very interested in Secret Stories. I like how the children apply the strategies to their reading and writing. I also like Mrs. Jumps Chit-Chat units. Thank you for the opportunity to win these two awesome products to help my little first graders become better readers and writers. Just watched several of your vlog's and I am so fascinated by these stories! So excited for a chance to win this wonderful kit! Crossing my fingers! I would love to win this! Wow...what a great prize! I would love to win and use these with my first graders! Thanks for the opportunity! I love reading your posts. I would love to win and use these in my classroom. Thanks! I have been hoping to win this for our homeschooling. I teach five children under the age of 8, and it would definitely come in handy!! 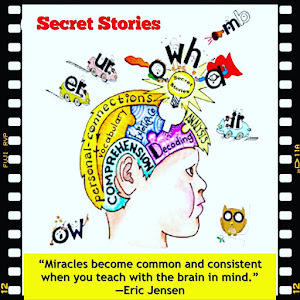 I love using the Secret Stories in my classroom and I have seen tremendous growth with my first and second graders' reading ability and word attack skills. 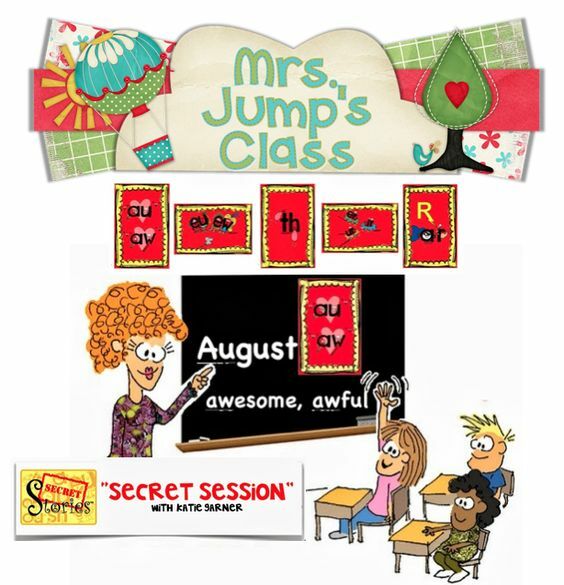 I would love to win a new classroom set of Secret Stories for my classroom! Do you teach both first AND second grades? I love that I have been using morning (Chit Chat) messages and now the opportunity to fully incorporate the Secret Stories will make for powerful learning. 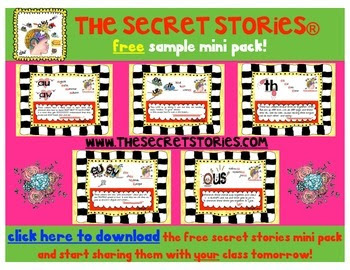 I would love to win the secret stories unit and improve my teaching and own learning! This would be fabulous to have as a first year teacher!! LOVE this! I'm switching to kindergarten from 2nd this year and am very excited. I would love this set! Love the ideas. Thanks so much!! Great ideas - much better than skill sheets! I am moving down a grade level this year and would love to try Secret Stories with my students! I would love to use your secrets with my firsties. I would love to tell my kinders your secrets !! This is intriguing, thanks for the opportunity to win the secrets! I am so glad you are offering this, I have been reading your blog/website all summer and would love to try it out. I did post comments here on your blog and Deanna's after your last blog about novelty in order to be entered for the giveaway, but I don't think I was signed in correctly so it may have not worked or shown up as anonymous. Oops! Without question! The SECRET STORIES are "tools" and are NOT a program, which is what allows them to so easily underscore whatever you are already doing in your classroom, including supporting whatever language arts series (or even phonics program... although you won't need it ;) you happen to be using. Once you get them and begin sharing them, as needed throughout the day, you'll see what I mean. The "Secrets" provide what the reading series' don't... the "WHY" !! Such a great way to teach these concepts. Thank you for showing how you implement the secrets in with simple interactive morning messages. It's great to see integration of ELA into other subjects! Thank you for sharing all of these wonderful ideas! I really hope to implement Secret Stories with my 1st graders this year...! Yea! So glad to hear it!! I have heard great things about secret stories...I hope to use them next year with my kiddos. The Secret Stories seem like they would be great in teaching my first graders! I would love to win a classroom set! Either way, I'll keep up on new posts to learn more about it…Thanks! The Secret Stories seems interesting and would love it! I enjoy the Chit Chats, also! Great resources! Oh, so hoping to win! I love this idea and my first graders would too. Secret Stories AND Chit Chat! What a great combo! I hope I win! Love both Secret Stories and Chit Chat!! Winning would be a great way to start the year!!! Thanks Ladies!! I have been following your blog all summer. I'm hoping to win! I would love to use these together in my classroom this year. What an awesome way to start the new school year! I love this! I hope I win! I love your secret stories. What a great way to teach students about English. I would love to win these! Kindergarten already uses secret stories! I would love to use this with my Kinders! It looks amazing!